You don’t have to go to Angkor Wat in Cambodia when visiting Vietnam, but it’s a popular add-on to any trip to one of South-east Asia’s busiest and best countries for backpackers. 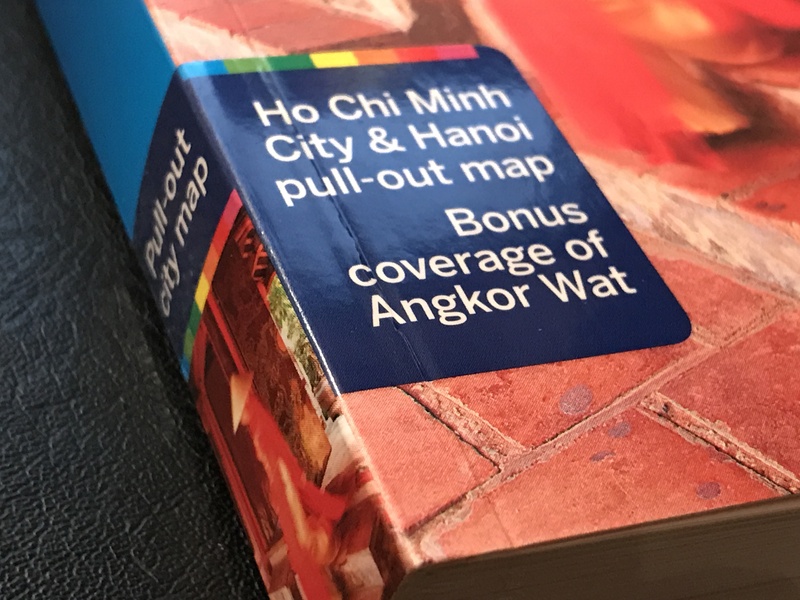 The Lonely Planet editors clearly think it’s an add-on that shouldn’t be ignored, which would explain why its dedicated Vietnam guide includes an extensive ‘bonus coverage’ chapter on the must-see Khmer temples. However, the 16-page Angkor Wat section is merely lifted from the publisher’s Cambodia guide, and while the three-day guide is welcome, it contains little information on how to get from/to there from Vietnam, which is a shame. Just as good are the colourful 3D guide sections to Hue, and generally the use of colour and graphics throughout is impressive. Maps are clear and just about helpful enough, though we’ve never been completely convinced about how disjointed the hotels sections are. Identifying a hotel in the book, then finding it on the correct map in the surrounding pages can take some unnecessary fishing. With unfamiliar names and words, that’s never easy. In the rear of Lonely Planet Vietnam – which stretches to an impressive 500+ pages – is a fold-out map for Ho Chi Minh City and Hanoi, which are useful. However, with apps like CityMaps2Go now offering free offline mapping, I do wonder if such things are necessary. Guidebooks of this quality, however, will never go out of fashion – and there’s plenty of concise and well researched material here to read both in advance and in-situ in Vietnam.